The regular Zip-Change® Changer cups are designed to fit Zip-Change® Poles. This 3¾” suction cup is best used to replace 6”, 8”, 10” and 12” letters. Are you dropping letters frequently? It’s time to replace your suction cup! 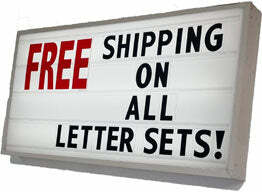 Replacing your suction cup every 18 months will protect your letters and your sign face. A fresh suction cup holds the letters better so they're easy to get on and off the sign. Keep in mind, are you beating a $5,000 sign face with a worn out $43 suction cup? Superior Suction - Heavy Duty Suction cup firmly hold each letter. Easy Release - Release wire breaks the cup suction when pool is twisted clockwise. Adjustable Cup Angle - Easy angle adjustment for different situations.